Article: What makes Ireland one of the best countries for business? Some of India’s best-known global companies like TCS, Tech Mahindra, Infosys, NIIT, Wipro, Unichem, etc. have their operations and research centers based in Ireland. The pharma, IT and med tech sector also have a substantial presence in the country. Apart from the robust jurisdiction when it comes to taxation and easy to do business atmosphere, Ireland is becoming the destination for Indian students seeking higher education especially in doctoral and post-doctoral. IDA is Ireland’s inward investment promotion agency responsible for the attraction and development of foreign investment in Ireland. 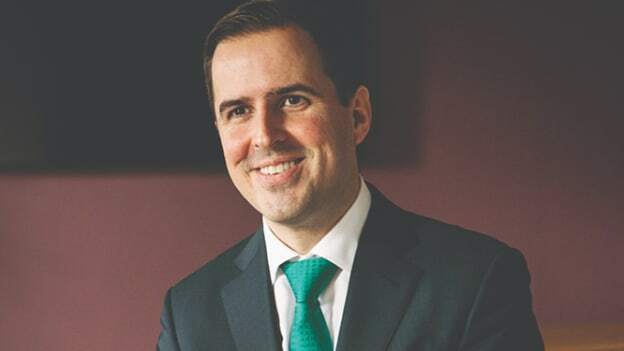 Martin has been at the forefront of the development of enterprise and innovation policy in Ireland for many years including leading the development of the Government’s Action Plan for Jobs 2011-2014. Businesses succeed in an environment that enables diverse talent to thrive. But this is far from reality for a majority of companies. What’s your take on this? The findings are inescapable. Diversity is a prerequisite for business success. Opening up recruitment to a wider spectrum of people provides access to a broader pool of talent. Teams of mixed gender, ethnicity, physical ability, age, and sexual orientation are also more representative of customers. They offer a variety of viewpoints and a wider range of experience, which improves decision-making and problem-solving. The business case also revolves around diversity of thought driving more innovation, inclusiveness supporting better global team working and relationships, higher levels of job satisfaction and productivity. A recent EY study found that 95% of companies felt having a diverse and inclusive workplace contributes to talent acquisition and retention. This is particularly relevant with younger generations, women, and minority groups that will actively seek out a diverse and inclusive work environment. Indeed, organizations with a diverse board see up to 53% higher return on equity and significantly higher earnings according to a McKinsey report ‘Is there a payoff from top-team diversity’. Major tech companies including Facebook, Paypal, and Microsoft have their European headquarters in Ireland. Why are foreign corporations continuing to invest in the Irish Republic even during the recession? Nearly 1400 multinationals have set up in Ireland right from Intel to IBM and Microsoft. Several born on internet companies like Facebook, Google, Amazon, etc. have their European Head Quarters in Ireland. Along with an enduring commitment to EU membership, this openness has allowed Ireland to combine a highly skilled domestic workforce with international talent, to serve as a gateway to an EU market of 500m people and 250m workforce. We also have the youngest population in the EU with over 53% having completed third level studies. Ireland is a very pro-enterprise and stable country from a policy perspective which gives companies certainty. We have a very competitive taxation regime, which is extremely consistent. Additionally, the vast majority of these companies use Ireland as a base to service the European market. The English-speaking population helps with internal communication and customer service. Geographically the location has easy international shipping and travel across the Atlantic and to Europe and elsewhere. You have been at the forefront of the development of enterprise and innovation policy in Ireland for many years. From an innovation perspective, how has the country advanced over the last five years? Ireland experienced a very difficult economic period between 2008 and 2013, but our recovery was quick relative to other countries. IDA’s focus for the past five years has been on job creation, economic impact and regional development. At IDA Ireland, under Ireland’s current strategy 2015 – 2019, we have managed to exceed targets and have added two and a half times more jobs compared to previous strategy 2010 – 2014. Today, 58% of employment is outside of Dublin, which is the highest number of people employed by IDA clients outside of Dublin in the history of the organization, with more jobs added in the regions than at any time over the past 17 years. In 2019, we would continue to ensure that Ireland remains a destination of choice for overseas firms looking to invest or expand their presence in Europe. What are some of the strategies that Ireland has embraced to attract the best of talent from all over Europe and beyond? Over the years, our strategy has taken into account the changing nature of work and the impact of technology on specific sectors. Profound changes are occurring in the world of work and this is already reflected in the jobs being created by the IDA Ireland client base. We can see an increasing complexity in the roles being created, technology skills becoming ubiquitous across roles, increasing demand for business professionals and a fall in the number of low-skilled jobs including back office support and basic manufacturing. This shift is likely in response to three key drivers of change: technological change; cost competitiveness and increasing regulation, each is impacting on all IDA sectors but at different speeds and in different ways. We are working with institutes to ensure that our workforce is future- ready and equipped to meet the demand for our clients as the job market evolves. Apart from this, one of the most important cogs in the wheel of our economy is its inclusivity. We are quite aware of the fact that the most important ingredient for the growth to continue are people. In Ireland, there is growth in the non-Irish born population where proportionally Ireland has the 4th highest international workforce in Europe. Today, 16% of Ireland’s total workforce and 29% of its tech sector workforce are non-Irish. Ireland is an inclusive, progressive and loving place with no prejudice. Apart from tech, sectors like Pharma, biologics, engineering, food, are also developing rapidly and with this increase, we need the talent to continue to feed these sectors. Ireland, being one of the most productive countries in the world, offers good salaries, which is one of the key features to attract talent. Do you see a rise in interest from Indian companies? How is Indian investment changing in Ireland? How do you relate the inclusivity of culture to business? What is the business case for LGBT inclusion? I really believe that those countries and companies that will be successful in the future will be those that win the war for talent. Why would any employer or jurisdiction not want to give themselves full access to all of the talents that exist or could be attracted to them? Why would one exclude any cohort based on their age, beliefs, ethnicity, gender, socio-economic status, or sexual orientation? Bringing in people with different backgrounds and perspectives promotes innovation and creativity –– both much sought after commodities in a modern society and a modern economy – and particularly in the modern sectors that Ireland has targeted. There are many reasons why companies choose Ireland as their preferred location for investment but one of the most important factors influencing their decisions is the diverse talent pool that exists in Ireland. (over 1 in 8 of the population are migrants). Apart from D&I being seen as ‘the right thing to do’, there is a conclusive body of knowledge highlighting the strong correlation between diversity on executive teams and above average business performance. To quote from some more research, research from McKinsey, Forbes, and others has demonstrated companies in the top quartile for gender and ethnic diversity at executive level were 21% and 33% more likely to have above average profitability. Credit Suisse Reported LGBT+ led companies outperformed other index companies by 3%. How do you plan to take the beginning of a significant new chapter for Dublin's financial sector to the next level? Ireland is the fourth largest provider of wholesale Financial Services in the EU. With more than 430 International financial institutions including over 200 foreign-owned companies spread throughout the country employing almost 44,000 people. Ireland has become a world-leading center for a variety of activities ranging from fund administration to aircraft leasing. More than half of the world's leased aircraft are now owned or managed in Ireland and 14 of the top 15 global aircraft lessors based in Ireland. 19 of the world’s top 25 Financial Service Companies are based here with over €4 trillion in fund assets under administration and we are a leading location worldwide for hedge fund administration. Ireland aims to be a global leader in areas such as FinTech and Sustainable Finance while maintaining competitiveness in specialized sectors such as Insurance, Aviation Financing, and Funds Management. The existing Government strategy for the sector known as IFS2020 has been successful and currently, there is ongoing consultation within the financial sector to maintain Ireland’s place as the location of choice for financial companies. The financial services sector has entered a period of intense transformation and innovation, mainly led by technology. There will be increasing demand for new types of roles within finance and Ireland is well placed with it’s a smart, young, well educated, tech-savvy and diverse workforce to exploit these opportunities but we must never become complacent.